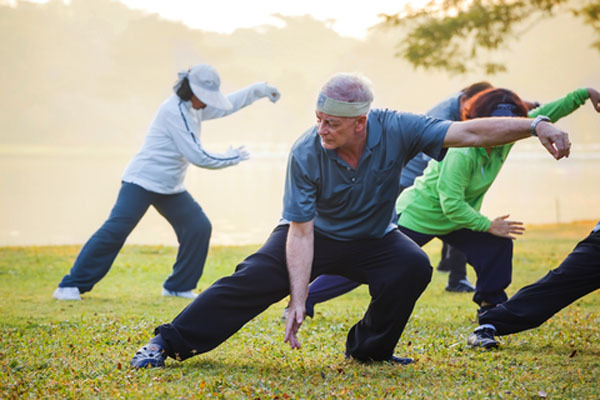 Martial arts such as Tai Chi are a great form of exercise for arthritis. 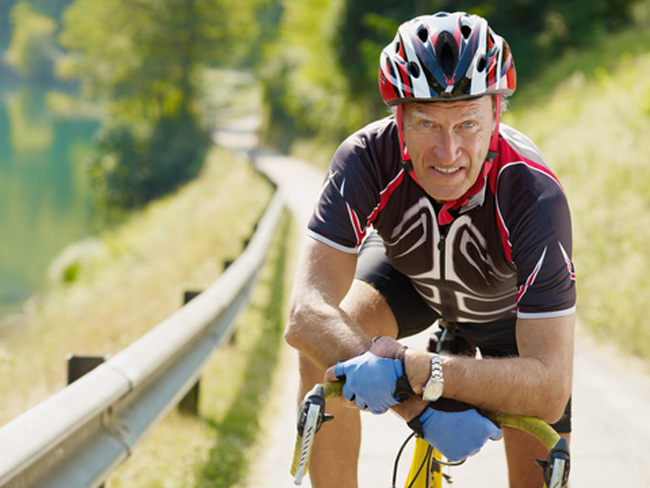 Most people don't understand the benefits of exercises for arthritis. After all, when the pain of arthritis sets in, the last thing you may want to do is go out for a walk or show up for a yoga class. It may seem like taking it easy, increasing your pain medication, or generally pampering your aching joints is the best way to go, but that isn’t always the case. Actually, exercising between flare ups may lead to fewer flare ups in the future. The stronger and healthier your body, the better your system can manage arthritis and all other health conditions. 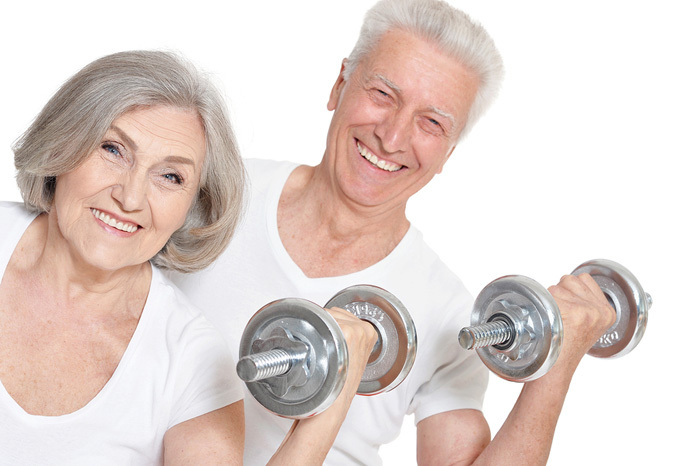 What Types of Exercises for Arthritis are Best? Walking is one of the popular exercises for arthritis sufferers because it’s something that most people can do, and it doesn’t require financial investment. 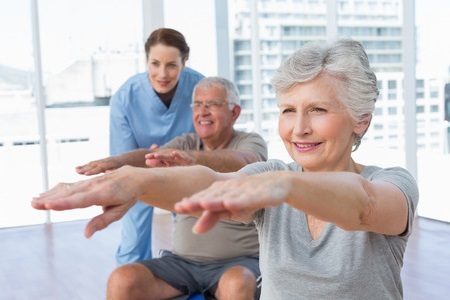 Yoga and Pilates are good options because they strengthen and stretch muscles and joints throughout the body, which can help reduce the stiffness and swelling that often comes with arthritis. Many people find water aerobics soothing, especially during flare ups. You may also try pools that allow you to walk on a treadmill under water, although they are still quite expensive. 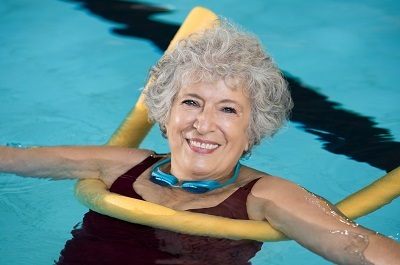 Most YMCAs offer water aerobics classes that are low impact yet effective. Some forms of martial arts are also great exercises for arthritis. Tai Chi has become quite popular with seniors, and there are many video series that allow you to learn this art form in the comfort of your own home. If you don’t want to join a fitness class or hire a personal trainer, there are some exercises that you can use to relieve your arthritis symptoms at home. Here are some of the simplest movements that most people can do comfortably. Chair Stands – Sit in a chair, and then slowly stand up with your arms stretched straight out in front of your body. You can lower your arms if you need some help standing, but the goal is to stand with only the help of your abdominals, buttocks, and upper legs. Lower back into the chair slowly, controlling your muscles as you go. For a more advanced move, try the exercise from a lower surface. Bicycles – Lie on your back with your hands behind your head and your legs bent, feet flat on the floor. Pull your knees toward your chest, creating a 90-degree angle with your legs so that your feet point at the wall. Twist from the core as you move one elbow toward the opposite knee, allowing the other leg to straighten. Return to start position and repeat on the other side. Up-Down Arm Pulls – Sit in a chair with an exercise band. Hold the band on both sides. As one arm pulls the band out straight, the other remains bent. Switch from one arm to another. 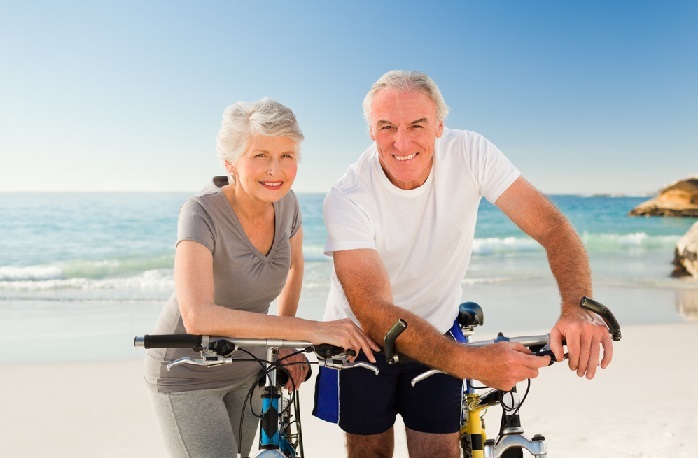 The Arthritis Foundation maintains a good collection of arthritis-friendly exercise videos that you can watch online for free. Mix and match the movements to create workouts that suit your needs. It is good to push beyond your comfort zone just a little each time that you exercise. Your comfort zone will naturally expand, allowing you to push even further without overworking your muscles and joints. This doesn’t mean that you ignore your flare ups. If something hurts, stop, look for a modification, or find a gentler way to exercise. Some people take a day or two to pamper their joints when a painful flare up hits. This is a personal decision that each person must make, depending on the severity, frequency, and level of discomfort associated with your condition. Simple exercises like walking in a swimming pool or stretching in your living room may actually soothe your pain, so don’t assume that all exercise must be intense.